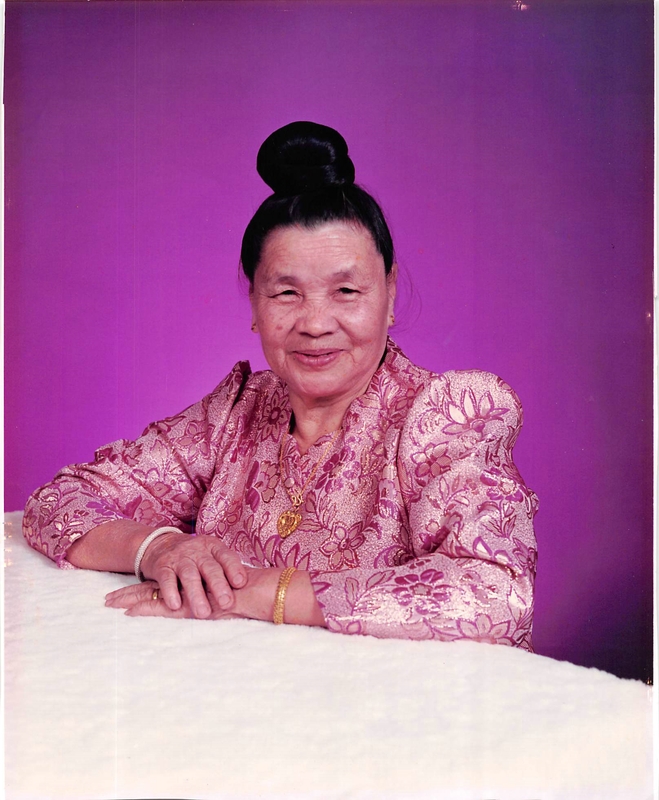 Ae Luongthy, 86, passed away in her home on February 3rd, 2019. She was born on June 14th, 1932. An amazing mother, grandmother and great-grandmother. Ae was the fourth of five children born to her mother, Oui Lothi and her father, Eua Lovan in Vietnam. She was sponsored in Iowa in 1991, alongside with her husband, Nhot Luongvan and her youngest daughter, Myseu Luongthy who then would be the one to look after and care for her mother, Ae. Ae had six children, which only two of them lived in the United States. The rest of Ae’s children remained in Laos. Ae was a resident of Des Moines, where she lived a happy and memorable life. Ae’s greatest joy was being surrounded by her family. She would always cook and make sure everyone ate. Ae loved watching Thai drama and “Texas Ranger” which starred Chuck Norris. Ae enjoyed early morning walks outside her home on the south side of Des Moines. She was passionate about gardening and sewing. If she could do it all day, she would. Her smile was contagious. Her loud laugh and beautiful smile brought joy to many. She was the most kind, caring and beautiful soul to ever know. She brought so much happiness to her loved ones. She meant so much to them. Everyone knew her as selfless and goofy, she loved joking around. She loved her grandchildren and great-grandchildren like her very own. We are blessed that life picked her to be our mother, grandmother, great-grandmother and friend. She is who we will keep close to our hearts and remember forever. May she dream a good dream and Rest in Peace. Funeral service will be held at 2:00 p.m., Saturday, February 9, 2019 at Hamilton's near Highland Memory Gardens, 121 NW 60th Ave., Des Moines.